When Augusts read from the Mumsnet Book Club dropped through my letterbox I thought to myself, ‘Ah lovely, a nice slim easy read for the summer.’ Well… I was mistaken! Lullaby might be short but it is tense and strong and overwhelming for all the best reasons. From the very first page it’s clear that this is going to be a bumpy ride as we’re confronted with the facts that two small children have been brutally murdered in their own home. I almost had to stop reading when author Leïla Slimani described the reaction of the children’s mother, Myriam. When she went into the room where the children lay, she let out a scream, a scream from deep within, the howl of a she-wolf. It made the walls tremble. Night fell on this May day. She vomited and that was how the police found her, squatting in the bedroom, her clothes soiled, shuddering like a madwoman. She screamed her lungs out. It’s immediately clear the perpetrator is the children’s Nanny, Louise. And so the rest of the novel is more about answering how we arrived here and exploring the why rather than the who. Myriam and Paul are a successful somewhat shiny Parisian couple on their way to great things. When two children come along in quick succession, they convince themselves that life can carry on as normal. To me this is a very relatable situation, I think a lot of women will relate to Myriams experience of motherhood. She throws herself into it but soon loses her sense of self and becomes very isolated. This motivates her return to work and so the search for a nanny. Louise made such an impact on the families life, it was almost like a fairy tale. Everything seemed so perfect and like they had all found their stride, to the point that I forgot the grizzly opening and wondered where I might get my very own Louise! 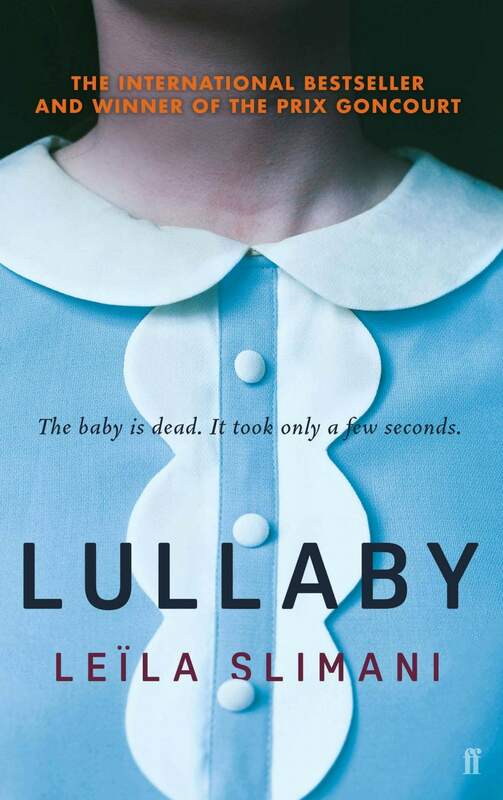 If you want an insight into culture, class, immigration and domestic servitude in France played out in the background of an unspeakable crime then Lullaby is for you. I really can’t reccomend it enough, you’ll be challenged, trust me!